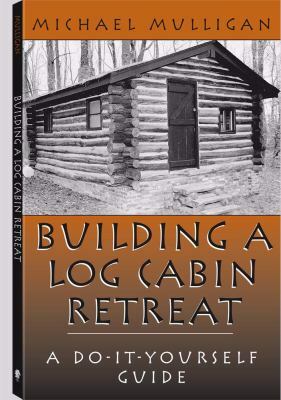 If youve ever dreamed of building a rustic log cabin to use as a weekend hideaway, hunting lodge or even an emergency retreat, this book tells you how to make it a reality. This step-by-step guide is chock-full of tips and advice culled from author Michael Mulligans decades of experience. Specializing in do-it-yourself projects that use improvised materials and avoid bureaucratic hassles, Mulligan first shares invaluable insight on finding your land and negotiating the shark-filled waters of real estate deals. Then, in straightforward terms that even a novice can follow easily, he walks you through the construction process, from selecting and preparing the logs to erecting and chinking the walls to building the roof and finishing the interior. He also includes a chapter on dispensing with public utilities in meeting your water, sewage, heating, cooking, lighting, power and refrigeration needs. Finally, for those who wish to tackle a scaled-up version of Mulligans basic design, he presents the formulas necessary for calculating the parameters and selecting the proper material.